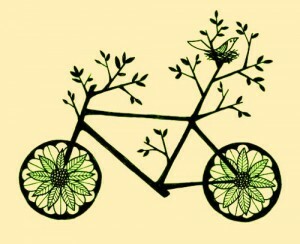 Urban Roots are dedicated to promoting cycling, this could be to visit the shops, friends, travel to work or just for fun! For those who are keen to get out on a bike Urban Roots can provide bike loans, free journey planning advice, information on safe travel practices and bike-doctor services. 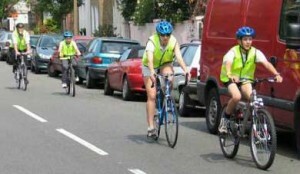 We can also run taster sessions and one off cycle safety sessions for young and old alike. Turn your bike into a funky, quirky, cool, beautiful ride by adding ‘bling’ to jazz it up! 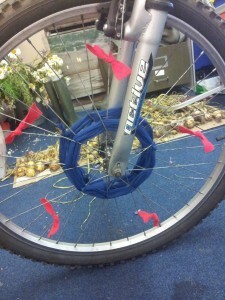 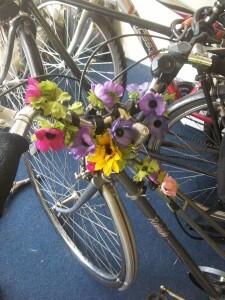 Ribbons, flowers, beads, bands, paints, lights, stars, felt, stickers, string – virtually anything can be used to bling-yer-bike.